On Autogespot, the most diverse projects of tuners are presented. There are however some tuners which stand between all those names, both on the surface of madness as quality. Brabus is one of those tuners, they combine brutal power with quite elegant optical tuning when you compare it to some of its competitors. With this philosophy and method of work they have become one of the best known tuners in the world. To find out why, we visited Brabus in Bottrop, Germany, where we got a walkaround through the entire company. Today we start with the first part, the history on Brabus and some of their most special models. We haven´t even entered the terrain of the company before we realize how big Brabus is. A gigantic building, with a small showroom in it, everything already looks very professional. Outside the building, several rows of ML-, G- and S-Classes are parked, ready to get modified. Most of them are AMG-models, but we can still see enough non-AMG-models. How did this all evolved in the past 35 years? In this report we will tell you the history of the remarkable company. Bodo Buschmann, the son of a Mercedes-Benz dealership in Bottrop drives a Porsche on a very young age. This car was often parked next to the company of his father, but his father was very displeased about this. He demanded that his son could only park there if he had a Mercedes-Benz. Bodo accepted this, but in the meantime we was making plans to make that Mercedes-Benz as fast as his Porsche. In that time, Mercedes-Benz was known for comfort and luxury, and AMG wasn´t a part of Mercedes-Benz yet, so this was a very hard challenge. Due all kinds of modifications he managed to make the Benz as fast as the Porsche and parked his ridiculously fast Mercedes-Benz W116 at the company of his father. On a certain day a man came around who had serious interest in that very cool Mercedes-Benz which was parked at the dealership. The idea behind Brabus was born. Bodo Buschmann decided to establish a GmbH, a so-called partnership without responsibility. To establish this company he needed a partner, which he found. It was Klaus Brackmann, a friend of him he met at the university. The name Brabus was a simple collaboration of BRAckmann and BUSchmann. After the establishment of Brabus GmbH in 1977, Brackmann was quickly fired from the company, by Buschmann who controlled the company. Bodo only needed Klaus Brackmann for the establishment of a GmbH, and Brackmann totally understood this. Due this Buschmann could make his fantasy and creativity to reality. For this he could use half of the space of his father´s company. Bodo Buschmann´s first success with tuning was the Mercedes-Benz W126, the S-Class which was build from 1979 to 1991. In this period more and more customers were gained, who didn´t only want a tuned S-Class. Due this Bodo could experiment with different models of Mercedes-Benz. The philosophy of the brand hasn´t changed since that time. So, the philosophy of the company hasn´t changed, so as the quality. The quality of the tuning and safety are the most important points for Brabus. This is achieved by a very precise finishing and functional tuning of the cars. You will read more about this tomorrow. The car which made Brabus become an international player in the tuning segment was the W210, the E-Class. By swapping the engine with a V12 with 582 bhp and 772 Nm of torque, Brabus created the fastest limousine in the world. The top speed was not limited to 250, but even 330 kilometers per hour. This restriction was there because there were no good tires for this car, with the right ones it could even go faster. This car wasn´t the only car with this problem, because nowadays some Brabusses still have the same problem. 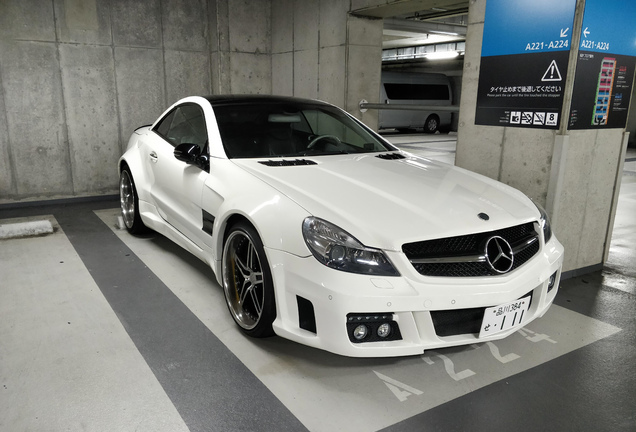 It was the combination of extreme speed, comfort and German quality which made Brabus stand out of all other tuners. In the earlier years, the most direct competition came from AMG. After AMG became part of Mercedes-Benz, Brabus saw the chance to become a unique tuner. They describe themselves as a solution for all wishes people can have for their car. It won´t be the first time they build cars with integrated guitars, lockers, or initials of footballers in the head rests. Make a wish for your car and Brabus will make it come true. 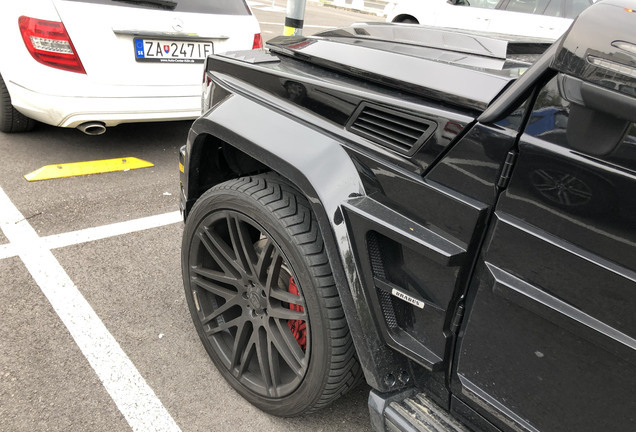 This makes Brabus unique from AMG, which is restricted to the normal option list of Mercedes-Benz, so you can hardly order a really unique AMG. All this is proved by the following anecdote. A customer of Brabus already owned several Ferrari´s and would like to have something different. After some research he ordered a black Brabus with a full black interior. 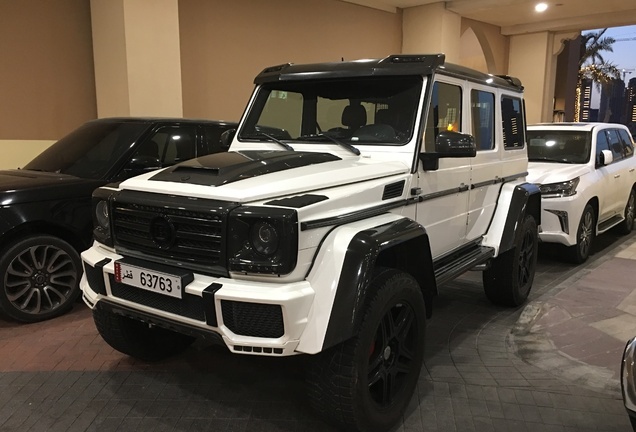 A few days after the delivery of the car Brabus got a telephone call. The colour didn´t look good together with the red of the Ferrari´s, not as good as he hoped. The car was sent back to Brabus where the car was painted and upholstered again. Some time later, the man called Brabus again. He said the red of the Brabus looked even better than the red of the Ferrari´s. This shows how flexible Brabus is with their customers, and that they´re only pleased when customers are. Since the beginning, Brabus offers the possibility of an engine swap. Normally these engines are changed with V12-engines for extreme performance. These V12-engines are tuned engines which come from Mercedes-Benz. Too bad the V12 loses popularity, so Brabus must look for alternatives to produce a lot of power with an exisiting engine. At the moment they are working hard on the new 5.5-liter V8 Biturbo from AMG. In the near future we can expect new Brabus-models with this engine. This is a good point, because Brabus says that the possibilities of the engine are almost endless. Brabus has already developed bigger turbos, which will be included in the Brabus B6-kit. The tuning is so perfect that you can use it everyday, without breaking down, according to Brabus. How they manage this, will be shown in the next special, where we take a closer look at the factory, where perfection is the standard. We give you one hint: it is surely something to look forward to!